April Kennedy...My Life + My Style: Much Ado About Blake + School. Much Ado About Blake + School. This little boy has been playing pretend lately. All.by.himself. A miracle. He thrives around playmates. Always asking for someone to play with. But pull out the pretend food and he is happy. Yesterday we found him climbing in his closet to get this basket from the top shelf. Which reminds me, I need to go put his clothes bar back up. Somehow he managed to pulled it down while 'reaching' for the basket. That took bravery from both of us. It is always so scary for me to know that Blake is so trusting of his classmates that they will accept him and his 'secrets'. And, you know what? He is always right! I had the opportunity at 'Back to School Night' to share with the other parents there, while standing in front of the classroom sniffling because I always have a hard time not crying when talking about my 8 year old son still in diapers, about Blake's special needs. That he was born with Spina Bifida. 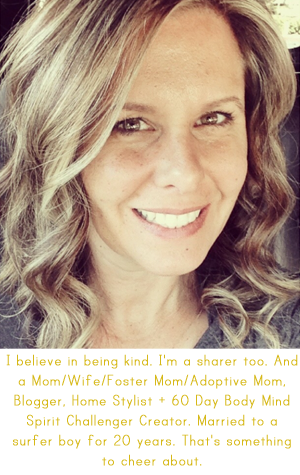 And, I shared with them that I was trusting them that they would share and teach their children about not teasing another child because they are different. Because Blake was counting on that support from his classmates. I was touched by their caring faces. Their heads' nodding in agreement and the support that came with other mothers' tears shedding on my behalf. A few dads were blinking really fast too. That gave me comfort. We were truly surrounded by a caring classroom family and I knew then that Blake would be OK sharing his secret. I went into the classroom a few days later and talked with the children about how people are made different. We talked about curly hair vs. straight hair. Red hair vs. blond hair. Glasses vs. no glasses. Wheelchair vs. no wheelchair. We talked about how it felt to be teased and how it felt to be treated nicely. All the children unanimously decided that being treated nicely felt the best. Then I shared some of Blake's special things about him. When I mentioned that he does wear 'special underwear' a few kids giggled, my heart broke instantly, but then remembered that this was a teaching moment and gently reminded them that giggling about something so special like that felt like teasing and they quickly stopped. They really did care. And not one student has even made mention about it to Blake since then. They have just kept being his friends. At the end of our little discussion I thanked the kids for letting me come in and share something so special with them. One kid quickly said, "ya....sure, come back anytime!" I smiled as I glanced at the teacher and thought....yup these are special kids in this classroom. Once again Heavenly Father is watching over us, protecting our fragile hearts and helping us to be brave. Up next on the school agenda....resource, intervention and testing for Blake. I'm afraid the non-verbal learning disabilities that I have heard so much about, but thought 'hopefully not my little boy', are beginning to manifest themselves. Blake can make up and tell a mean story, but has much difficultly putting it onto paper. He can sound out and read pretty much any 3-4 letter word, but anything longer than that is so difficult to sound out because he forgets what the first part sounded like by the time he gets to the end. This is going to take much bravery from his daddy and me. Much bravery. And, more for the record, Blake is excellent in math! aw! bless him!!! and you for handling everything with such grace too. but the Notre Dame shirt? ugh! i'm a University of Michigan MBA student right now...guess i need to send blake a u of m shirt!!!!!! Your families last name is not Kennedy ~ it's Courageous. Just another fyi for you...Blake has been really awesome in Primary the last few weeks. On Sunday, he wanted to go into Carson's class and he and one other of his classmates tried to sneak in, but I went in after them and told them no way, get to the right class. Blake immediately jumped up and went right to where he was supposed to be. No whining, like his partner in crime. I'm very proud of how far he's come! He has matured so much since his baptism. It's amazing how the Holy Ghost helps these sweet spirits. Yea for braveness for Blake and Mommy!!! As for the hard stuff....it's there. It's hard not to be with what our special boys bodies have been through, but God will be there with you too. You can handle it all with a strong faith (which I KNOW you have!) and a strong support team! Much love to all of the Kennedy family... so sorry we missed you guys in Sept, but Nat has been incredibly sick and we are just starting to recover from all of that. Kids can be so amazing! Glad to hear it sounds like Blake's classmates are going to step up to the plate. That will make it a more enjoyable year for all! You won the Allora Handmade necklace over at my neck of the woods! Congrats! Email me so we can coordinate! I'm so proud of you and Blake (the whole family really) for being so strong and supportive. You guys are a great example of how parents should be teaching kids not to bully for being different. So glad to read this. My son with SB is only 20 months, but I often worry about worry and stress about his future...school, friends, being teased...it's so nice to hear that Blake's classmates are so supportive and loving towards his differences and the things that make him...him! :) Thanks so much for sharing! I know this post is not the most recent, but I saw it linked to your WIWW post. I'm a teacher and this was really meaningful to hear from a parent's perspective. You did an amazing job dealing with the situation and you truly made it a learning moment for all involved. Our Heavenly Father is watching over us! Amen! I am visiting your site for the first time and I couldn't help feel admiration for you because you choose to embrace the difference and make a lesson for the kids and parents. I am a Physical Therapist and will be an RN in a few months so I have seen kids like yours and they always make the special place in out hearts.I have in my house a pink heart I received for Valentine from one of those fantastic kids to remind myself of kindness I had learned from him. We, as parents need to educate other children and other parents that being different in any way does not mean your are less Children learn to discriminate from the parents and we can change it. I would suggest you speak in other classrooms too , you could start something big with a small step ! Blessings to you and your family . This was such a beautiful post. My mom was an inclusion specialist for years. It was amazing to watch how the children who have special needs change those around them. I truly believe the other students would not be as loving and kind if it wasn't for Blake. He helps them to be more considerate of others and not judgmental. With my own health struggles I have had my share of judgment and it really hurts but it makes me even more thankful for the people who truly care and love me for me.